Somaliland ma u baahan tahay in golaha gurtida doorasho la geliyo mise in sidaa lagu daayo? Gurtida waxa la aasaasay sannadu markii u ahaa, 1988, waxaanna lagu aasaasay tuuladda Caydaroosh oo ka tirsan gobollka Maroodi Jeex. Wakhtigii lagu jiray halganka dib ula soo noqoshada Somaliland. 1- Sidii islaax iyo isku soo dhawayn looga dhex samayn lahaa saraakiisha sar sare ee SNM, oo arrimaha qaarkood isku khilaafsanaa. Shirweynihii Somaliland ee boorama, 1993, ayaa lagu go’aamiyey in gole qaran laga dhigo, dhistuurka qarankana lagu qoray. Tirada Xubnaha gurtida waxa ay bilawgii ahaayeen 75 xubnood. 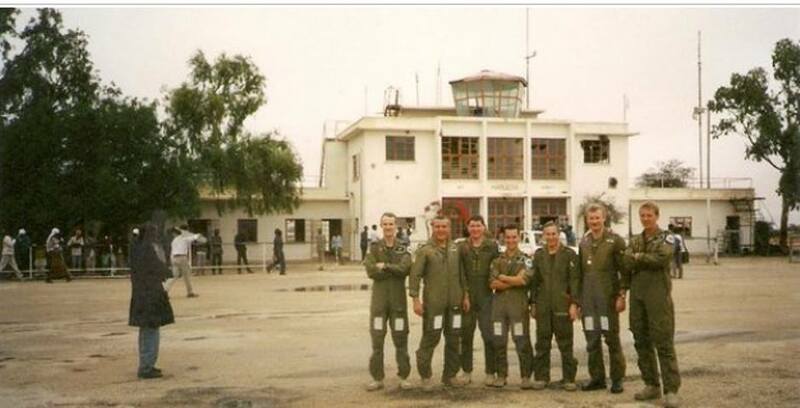 Shirweynihi qaran ee 1997, ee lagu dooranayey madaxweynihii 2 aad ee Somaliland. ee Maxamed Xaaji Ibraahim Cigaal (Ilaahay ha unaxariisto) ayaa lagu kordhiyey 7 xubnood oo loogu daray beelaha laga tirada badan yahay. Tiro guud waxa ay isla noqodtay 82 xubnood. Mudadii ay jireen waxa ay soo qabteen hawlo waaweyn oo Somaliland u horseeday nabad iyo horumar. Markii lagu daray dhistoorka Somaliland, waxa la siiyey awood aad u weyn oo ay ka mid yihiin. In Madaxweynaha qaranka ay soo xulaan kaddibna ay iyagu doortaan, iyagoo metelaya shacabka. Gurtida Somaliland waa qayb ka mid ah rukumada ama tiirarka ay Somaliland ku taagan tahay. Waxa haddaba mar kasta oo ay doorasho soo dhawaato la soo hadal qaadaa golaha gurtida Somaliland. Waxa bilawgii 1993 Somaliland yimid, sarkaal sare oo ka socda safaaadda dalka Maraykanka ku leedahay magaalad Jabuuti. Markii uu socday shirweynihii Boorama ee beelaha Somaliland kaga tashanayeen aayaha mustaqbalkood,. Oo markaaba soo jeediyey in gurtida. Waxa uu markaa soo jeediye in gurtida Somaliland ay doorasho ki yimaadaan. Arrintan oo runtii odeyaashii ka cadhaysiisay, iyagoo u arkayey in arrimahooda hoose ay dawlad shisheeye soo fara gelisay. Markii danbe ee ay Jabuuti ugu tageen sarkaalkaas jawaab cad ay siiyeen gurtudi. Sida ay arrimahooda hoose u xallinayaan ay iyaga u taallo ee aanay cid kale u oolin. Weli arrintii halkii ay taagan tahay waxa dhaowr ay qolooyinka qaadhaan bixiyaashu soo jeediyeen in doorasho la geliyo golaha gurtida. Dhawr goor madaxdii dalka hoggaaminaysay ay ku gacan saydheen. Haddaba Shacabka Somaliland waxa looga baahan yahay, in meesha ay maslaxadoodu ku jiraan ay eegaan. Dal iyo ummad kasta oo adduunka ku nooli waxa ay leeyihiin hab ay heshiis ku yihiin oo ay isku maamulaan. Haddaba su´aasha isweydiinta lihi waxa weeyi Somaliland u baahan tahay gurtida in doorasho la geliyo mise waa in sidaa ay tahay lagu daayaa? Anigu waxa aan qabaa baahidii Somaliland ay u qabtay Gurtida tan iyo 1991, in ay weli taagan tahay, 2018. Waanay taagnaan doontaa baahida gurtida loo qabo illaa inta ay jiraan beelaha Somaliland. Somaliland si weyn ayey ugu soo caano maashay intii ay jirtay gurtidu. Waa gole dhaqan oo aad loogu bahaan yahay. Innagoo marayna 2018, ayaa maalin walba waxa la soo sheegaa colaad ka dhex qaraxday laba beelood. Ama dawladii iyo golihii wakiilladda ayaa is haysta, waxa ay noqonaysaa in loo yeedho Cabdi Waraabe oo sarriirta jiifa in uu xal ka galo arrimaas. Waxa aynnu samaynay wax cajiib ah oo adduunyadu aad ula yaabtay habkan isku dhex jirka ah ee aynnu isku maamulno, dhaqankeennii (gurtideenna) iyo dimuqraadiyad isla jaan qaaday (habka doorashada golaha deegaanka, wakiilladda iyo madaxtooyada). Waa in aan la iska daba dhaxlin kursiga xubinta gurtida oo sharci laga soo saaraa. Idag den 31 Maj 2018, är det exakt 30 år sen SNM intagit Hargeisa, Somalilands nuvarande huvudstad Hargeisa, Klockan var runt 2:30 midnatt när Hargeysa borna hörde kraftiga explosioner sydväst om Stan, där låg millitär högkvarteren 26 . Hargiesa har fallit för SNM,s händer men som under dag gjorde millitär reträtt för, men hade tagit kontroll över staden 2 av 4 delar av Stan. General flydde från sitt residens, Somalilands nuvarande president palats, han flydde för sitt liv, när SNM attackerade militär högkvareten 26 kunde han inte stanna där utan flydde vidare till Hargeisas flygplats. People in Somaliland have been voting for a new president in an election that the authorities hope will also help to boost their case for international recognition. Plus Kenyan Defence Force officers strenuously deny UN allegations of colluding with Al Shabab militants in an illegal charcoal trade. And in alphabetical order, we profile the first of the five shortlisted players for this year’s African Footballer of the Year – Borussia Dortmund and Gabon star, Pierre-Emerick Aubameyang. It was June 2, 1988, and Hargeisa was under attack. The rat-a-tat-tat of nearby artillery rose above the city and filled Ibrahim Abdullahi’s ears, but the battle was in the north and hadn’t reached his government-controlled southern district – at least not yet. As he nervously ventured outside, Abdullahi’s mind raced. He had already sent his wife and eight children to safety in Ethiopia, but he felt a longing to stay in Hargeisa, a need to protect his modest mud-brick home and keep it occupied to deter looters and to defend the product of years of his hard work. Just days before, Somali National Movement (SNM) rebels had captured nearby Burao city from Somalia’s national army, and Hargeisa was now in their sights. But it seemed that government soldiers were determined to stop that at any cost. Within the past two days, Abdullahi had heard that killings had begun. Government soldiers were rounding up men of fighting age in Hargeisa to prevent them from joining the SNM. Crouched down outside his home, Abdullahi’s mind wandered to thoughts of fleeing again. Rumours were circulating that women and children were also being targeted, but he had no way to know for sure. Some people had even said government bombers were pursuing fleeing families as they tried to escape. He thought of his wife and kids and prayed the rumours were untrue. Then, out of nowhere, he heard his name. The noise of gunfire hung in the air, but it remained at least a couple of kilometres away. But here, as he looked up, tens of metres from him, was a small group of government soldiers. Abdullahi’s mind raced again. Civilian or not, he was of fighting age. “Yes, that’s me,” he murmured, trying not to let the fear in his head spill into his words. Walking towards what he assumed was certain death, Abdullahi took one deep breath and ventured forward. Using an intricately carved wooden cane to help his ageing legs, 75-year-old Abdullahi stands tall and proud, albeit a little unsteady before lowering himself into a black leather swivel chair in the unassuming office building in Hargeisa. It’s 2017, and the walls of the office are dotted with photos of men in masks working meticulously, digging at the dusty ground and carefully brushing away dirt from skeletons that haven’t seen the light of day in decades. “I remember burying bodies in that grave,” Abdullahi says gesturing towards one of the photos on the wall in front of him, “and that one”, he adds, his eyes slowly tracing the room. Abdullahi’s story precedes the man in Hargeisa, the capital of the self-declared republic of Somaliland that announced its separation from Somalia after the government of Siad Barre collapsed in 1991. His weathered face – one that seems to have as many wrinkles as years he’s had in his life – may not be well-known in the city, but in every corner of the capital his story is legendary, some regarding it as truth, others as myth. But in the office of the War Crimes Commissioner, Abdullahi’s story has been confirmed again and again – over the years, he’s been the key to reuniting distraught families with the remains of their loved ones. “Those were black days, black black days,” Abdullahi repeats as he recalls memories that have stayed fresh in his mind three decades later. Resting his cane on the table in front of him, Abdullahi begins to tell his story, his eyes darting from side to side as his mind rewinds through the years to 1988 and the 28 days of his life that have defined him ever since. The city was a ghost town. Buildings lay abandoned, dead bodies were scattered in the streets, and the smell of death lingered in the air. As Abdullahi walked, everything started to become familiar. He wasn’t walking to a military barracks like he first thought; he was on his way to the Ministry of Public Services where he was employed handling heavy machinery like tractors and diggers. Abdullahi did as he was told. Within an hour he was at Malko Durduro, a valley area in western Hargeisa, digging into the soft soil. Several government soldiers stood around his digger with 10 bodies tied together lying beside them, blood still seeping through clothes and staining the sandy earth below them. As he listened to the soldiers speaking among themselves it became apparent to Abdullahi that the army didn’t want the bodies buried in an effort to cover their crimes – they were fed up with the smell. His job, as their new prisoner, was to get rid of it. The corpses were unrecognisable. Pieces of flesh ripped off their bodies from head to toe, shot to pieces by an anti-aircraft gun that sat nearby. To survive, he would have to dig. Guarded day and night, Abdullahi dug to save his life. Barely allowed time to rest, he buried hundreds of bodies a day in that first week. At first, the dead were men, mostly in fatigues – rebels. After a few days, the fatigues disappeared, and women started appearing, then children. All killed in the same way – tied together in groups of 10, shot, their faces sometimes slashed with knifes and mutilated. The soldiers may maim and deface them; they may chuck the bodies on the ground like pieces of rotten meat as though they were never humans with emotions, dreams, wants and desires – but he knew otherwise. They were fathers and sons, mothers and daughters, and even in death, they deserved respect. In those first few days, Abdullahi swore to himself that he would at least give them that. The most important thing to him was to get everyone buried before nightfall, before wild animals would come out of the bush and claw away at the bodies. If he could just do that, he thought, it would be some way at least to give the dead some dignity after such a violent and unjust end. It was how he could show respect, his silent rebellion against his captors. For days on end, he worked from dawn till dusk, burying the war crimes of a regime that wanted him and his people dead. He did what he could to keep his mind blank. He thought of his family and daydreamed about where they could be, safe and away from the living hell that their hometown had become. He trained himself to concentrate on digging, to distance himself from what was happening. That’s the only way he would survive. Then, after two weeks, one of the bodies spoke. The ground slips a little below Abdullahi’s feet after a night of heavy rain turned the bone-dry dirt in Malko Durduro to mud. 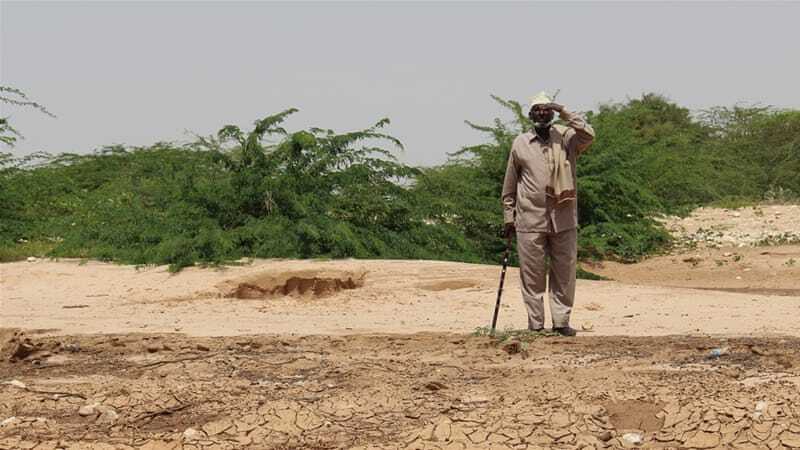 “It’s important we teach what happened in the past so it never happens again,” Abdullahi says using his cane to steady himself as Al Jazeera takes the 75-year-old back to the mass graves he dug three decades ago at the notorious execution site of Malko Durduro. Plagued by a deadly and devastating drought all year, the night’s rain was the proverbial drop in the ocean, bringing more joy to the residents of the Somali city than water. But it was still something to a region that has been battling extreme weather conditions throughout 2017. To Abdullahi’s left, imposing cliffs of dirt stretch several metres up, small trees and cacti clinging onto the edge – just another rainy night away from succumbing to erosion and joining Abdullahi on the valley floor. Returning to Malko Durduro three decades after he was forced to bury thousands of bodies here, it doesn’t take long before Abdullahi’s mind takes him back to those dark days. “I still can’t sleep at night remembering him,” Abdullahi says, recalling the one body – the only body – which looked up to him from among the dead and spoke. It was two weeks into his captivity when Abdullahi came across a miracle. A man who had somehow survived the firing squad and then played dead as soldiers piled the executed into a grave. The miracle was short lived. Facing being buried alive, there was only one thing the survivor could do. He spoke. “I had to do this job to survive,” he adds, looking for understanding. Digging his cane into the soft ground, Abdullahi walks the valley floor for several minutes, his eyes wandering the surroundings as his memories take him back to that time. He can’t prevent them, even if he wanted to. Stopping in his tracks and using the cane as an extension of himself, Abdullahi motions towards the cliff side. Within seconds, and without words, it’s clear what he’s trying to draw attention to. Exposed by the rain and protruding from the wet cliffside is the unmistakable bone-white colour of a skull, almost waiting for the right moment to drop to the ground and join its burier on the floor below. To the right of the skull, the tips of ribs stick out at differing angles sandwiched between greenish brown fabrics – fatigues. Panning the area, just tens of metres away from the newly exposed skeleton more bones stick out – this time there are no fatigues. 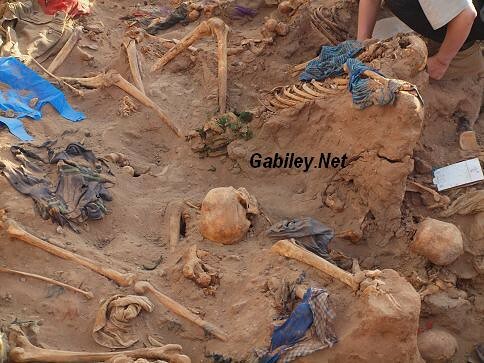 The bones of a civilian killed by the army, and then buried by Abdullahi. “I remember being taken to this valley and a military vehicle pulled up with an official inside it,” he recalls. As he speaks, the faint sound of playing children carries through the air from a school less than 100 meters away. Throughout the land surrounding the school, more bodies are scattered, waiting to be exposed, identified by forensics, and eventually returned to their waiting families decades later. 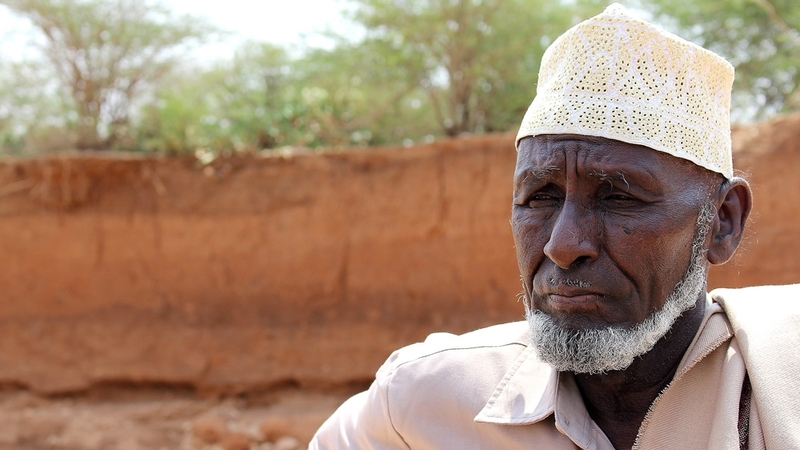 For Abdullahi, the memories of the people he buried will never leave him. But he counts himself lucky he survived. As the bodies reduced from hundreds a day at the beginning of Abdullahi’s captivity, to just a few per day after three weeks, he knew his time was running out. Soon he would be surplus to requirements, and if he didn’t find a way to escape, he would be killed too. But on the 28th day – for the very first time – he found himself alone. Abdullahi didn’t need a second opportunity. “The guards were getting more relaxed with me as I hadn’t tried to escape, but on the 28th day I was out in the valley and realised there was no one watching me – I ran,” he says, describing his bid for freedom. Hiding until nightfall, Abdullahi smuggled himself out of Hargeisa. Within days, he had gathered information about the whereabouts of his wife and kids – they had survived the bombers and were still alive. After two days and three nights of walking, he made it to their refugee camp in Ethiopia. Walking into the camp on the morning of the third day, Abdullahi saw his family in the distance, and for the briefest of moments, the memories of the dead left him. The 75-year-old says he’s lived a good life as a husband and a father to twelve children – he had four more after returning to Hargeisa after the war. 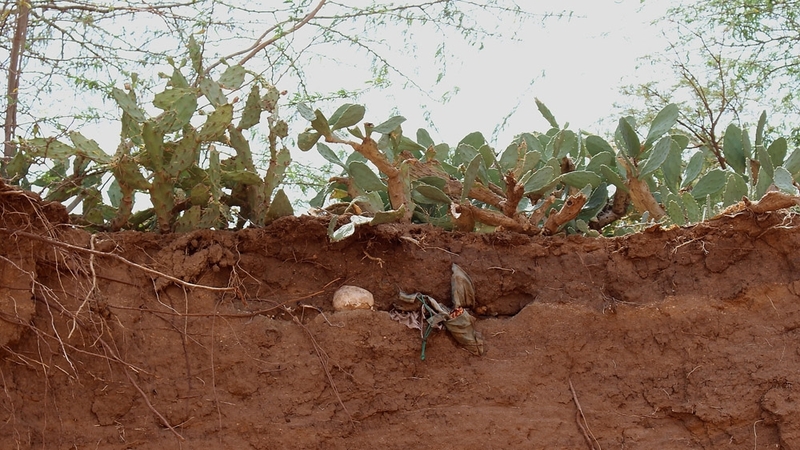 He’s come to terms with what he witnessed and became a part all those years ago, and has found some comfort in helping the Somaliland authorities to recover the dead – 2,000 of whom remain buried. MOGADISHU, Somalia — Polls have closed and the counting of votes has begun in Somalia’s semi-autonomous region of Somaliland which is electing their fifth president Monday as the ruling party faces a strong challenge from opposition candidates. Results are expected by Friday. The Somaliland government will block access to social media during the vote-counting period to try to prevent the spread of rumors about election results. More than 700,000 voters registered to cast their votes at more than 1,600 polling stations across Somaliland amid tight security in the peaceful enclave. This election was be the first in Africa one to use iris-scan biometric technology to prevent anyone from voting more than once, said Somaliland’s electoral officials. Three candidates are running for president following weeks of election campaigns. The current president is stepping down after his five-year term was controversially extended for two-and-a-half years because of a shortage of funds and a drought. Muse Bihi Abdi, the candidate for the ruling Kulmiye party and his main challenger Abdirahman Irro from the opposition Wadani party are slight favorites over Feisal Ali Warabe, a veteran politician from the opposition party UCID. The new president will serve a five-year term that can be renewed once. The vote was be monitored by a British-funded team of 60 international observers from 27 countries. Somaliland, a haven of relative peace in northwestern Somalia declared its unilateral independence from Somalia in 1991. However, no country has so far recognized it as an independent state. Some voters said they hope Monday’s election will help Somaliland’s push for international recognition. “We hope it’ll be a peaceful election that will prove to the world that Somaliland deserves an international recognition,” said Barkhad Jama, a resident in Hargeisa, Somaliland’s capital. Somaliland votes next week. Its biggest challenges come after the election. On Nov. 13, Somalilanders will vote for a new president. The campaign kicked off in dramatic fashion in October with Somaliland’s first-ever presidential debate shown live on national television, and large campaign rallies. Three parties are fielding presidential candidates. Musa Bihi Abdi is the presidential candidate of the ruling Kulmiye Party. Abdirahman Mohamed Abdullahi “Irro” represents the Waddani Party. Faysal Ali “Warabe” represents the UCID Party. Both UCID and Kulmiye competed in the 2003 and 2010 presidential elections, but this is the first election for the Waddani Party, which earned the right to field a candidate based on its performance in the 2012 local elections.